With the smartphones with big display selling rapidly in India, Micromax has now launched the Micromax Canvas Mega series in the country. Micromax has announced the launch of the Micromax Canvas Mega series with the Canvas Mega E353 and the Canvas Mega 4G Q417. 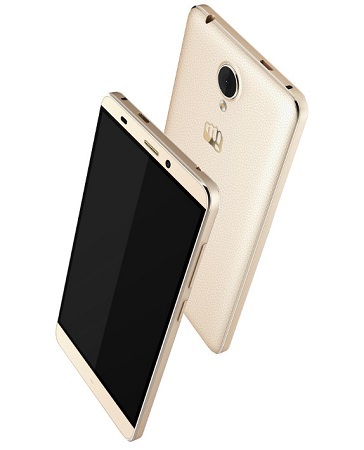 The devices have a 5.5 inch display with Corning Gorilla Glass 3 protection and resolution of 1280 x 720 pixels. The smartphones are powered by a MediaTek processor with the Mega E353 having a octa core processor with 1 GB of RAM and 8 GB of storage and the Mega 4G Q417 having a quad core processor with 3 GB of RAM and 16 GB of storage. The Micromax Canvas Mega E353 and the Canvas Mega 4G Q417 both have a 13 MP rear facing auto focus camera with LED flash. There is also a front facing 5 MP camera. The device runs on the Android Lollipop version. The phones have dual SIM support. The Mega E353 is priced at Rs. 7999 and the Mega 4G Q417 is priced at Rs. 10999.